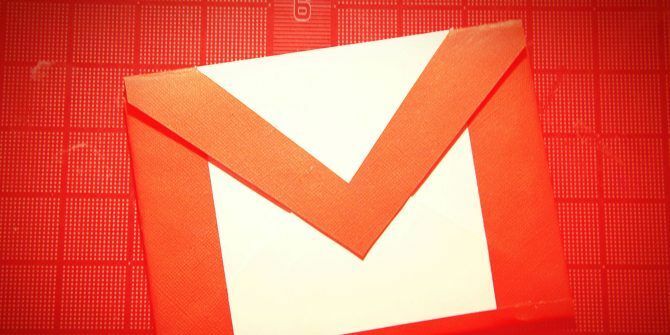 You should be organizing your Gmail inbox How to Sort Your Gmail Inbox by Sender, Subject, and Label How to Sort Your Gmail Inbox by Sender, Subject, and Label Can't find stuff in your messy Gmail inbox? We'll show you the five best ways to sort your emails. Learn these tweaks and you'll be able to find anything! Read More so that you don’t have to comb through it in desperation. Fortunately, if your inbox is a mess, Gmail comes with an excellent search box that makes finding lost emails easier. But did you know that there is another little-known method for keeping track of important emails? Each email in the Gmail inbox has a unique message ID, and this specific identification number is the fingerprint of each email. The message ID is hidden in the background and you have to dig through the email header to find it. But the message ID is an important tracking tool and can also help you keep a record of your critical emails outside Gmail. Use it as a geeky email bookmark. Install the Gmail Message ID Finder extension. Open Gmail and find the message you want the ID for. Expand the dropdown button next to the Reply arrow. Click the Copy message ID option that has been added by the extension. The message ID is copied to the clipboard. To search for the email, paste the number in Gmail’s search box and your email will come up in the results. As the video above shows, you can keep a running record of important emails in a spreadsheet. If you are working on a long project, the Gmail message ID can save you a lot of time if you need to refer to an old email. Do note that the ID is specific to your email account so only you can use it. Does this work with the just released new Gmail UI? I do not see the 'old' way of a Reply box with a dropdown caret. Can we just get rid of tabs altogether?